The WISHBONE SC is suited to the high bite blue grooved clay tracks or indoor clay tracks. The tread design features low profile tread pattern to keep lug squirm to a minimum on high bite surfaces. All AKA SC tires feature the industry standard 2.2Ó/3Ó bead sizes. Mark and Gil have designed an innovative inner carcass design made to perfectly fit the industry standard AKA 1:8 buggy closed cell foams. 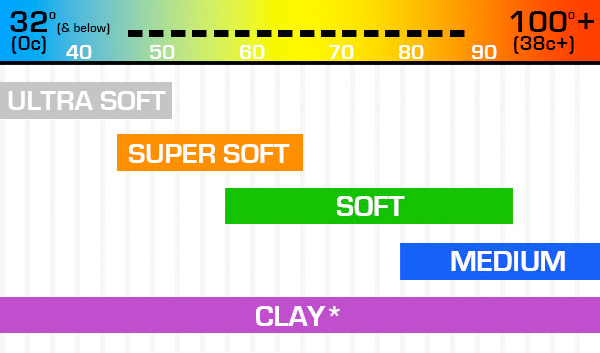 This results in a much more controlled outer sidewall for more consistent handling and tread wear. No more cranking in tons of camber to keep the tire patch flat on the ground. Red Insert (Soft): R-Line pre-mounts also feature our new soft red insert. The red insert is designed to soak up the big bumps with its fluted I.D. while still holding its shape in the turns to increase corner speed and consistency. Tread Performance - Each tire tread is computer designed and track tested by AKA engineers Gil Losi, Mark Pavidis and team drivers to ensure the best performance before each tire goes into production.